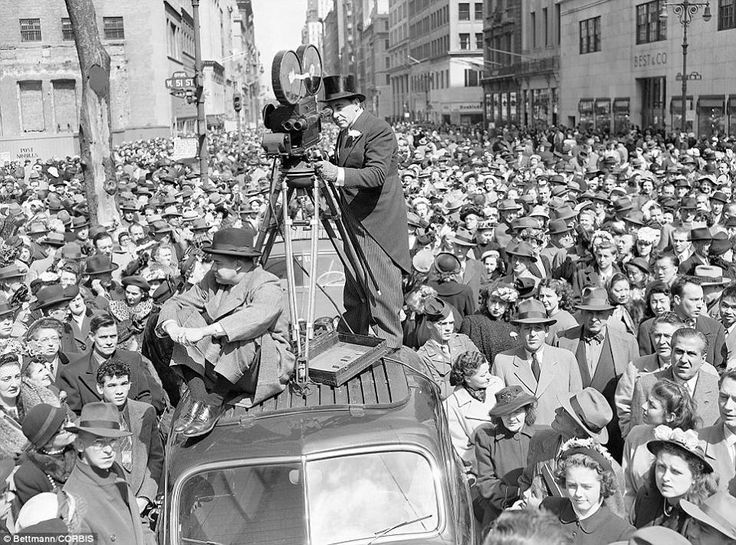 Throwback Thursday" Crowds at Easter Parade"
A most very cool shot taken during the Easter Parade on 5th Avenue in the 1940's as a cameraman shoots the parade on top of an automobile. Since I attended my first parade last year, I must say the crowds were not this bad, but it was a cool event. There is something about dressing in your Sunday best, with a fabulous hat for the men and women, walking down the fashionable 5th Avenue that is so appealing! You must attend the parade at least once in your lifetime, be sure to add to your bucket list. What is your favorite part of the Easter celebration?